Winter is long in the Pocono Mountains. It's not unusual to sometimes get a foot of snow around Halloween. Christmas? Snow is often on the ground for weeks before the Yuletide season even begins. But it's the cold days of January and February that are the snowiest. You might think the stark, white landscape offers little in the way of substance, detail, or color. I want to tell you a secret. If you just look hard enough, you might see things that are more beautiful than you ever have imagined. 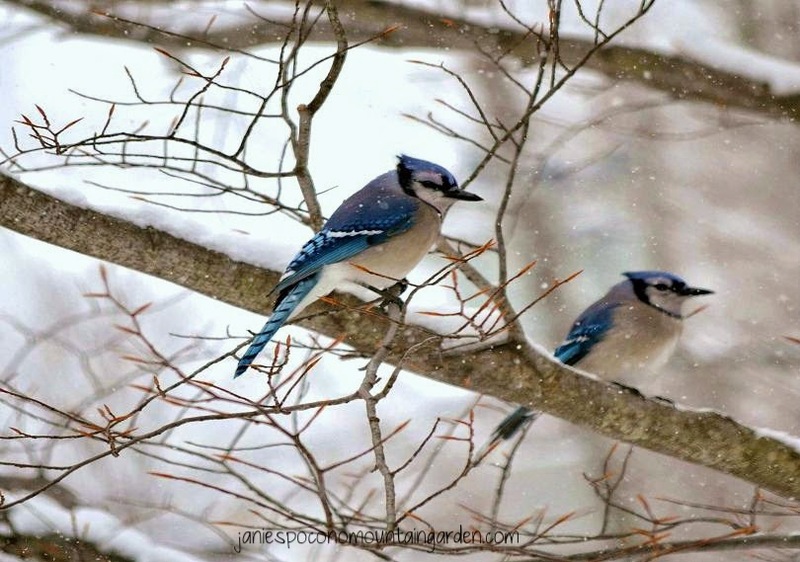 Did you ever notice the varying shades of blue in the feathers of a blue jay? Or the brilliant red plumage of a male cardinal? 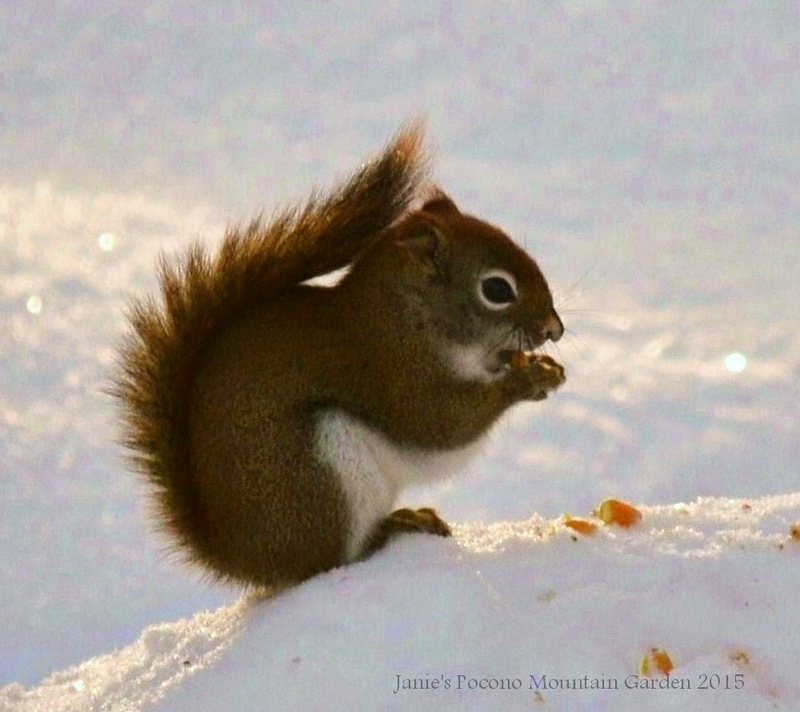 Do you see the spiked edges of this little squirrel's tail? Summer isn't the only season for fishing in the Pocono Mountains. 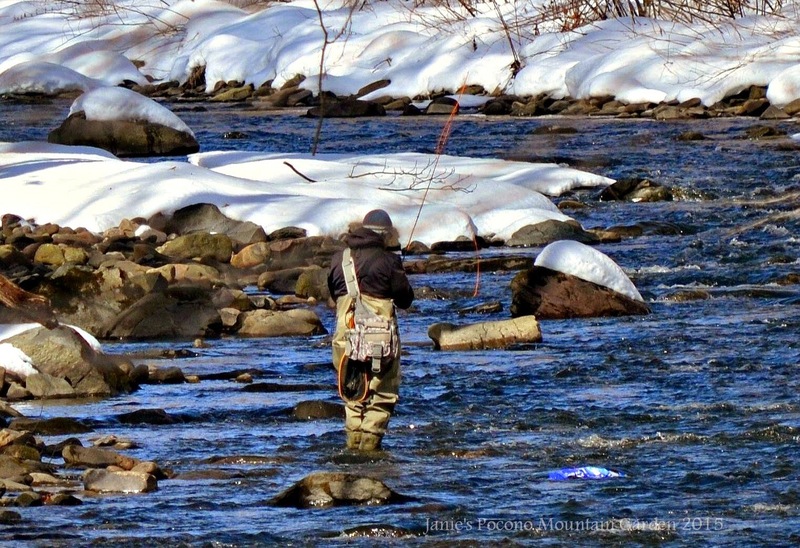 Even on the coldest days of winter, anglers often test the frigid waters of mountain creeks and streams. And what would the Poconos be without whitetail deer? 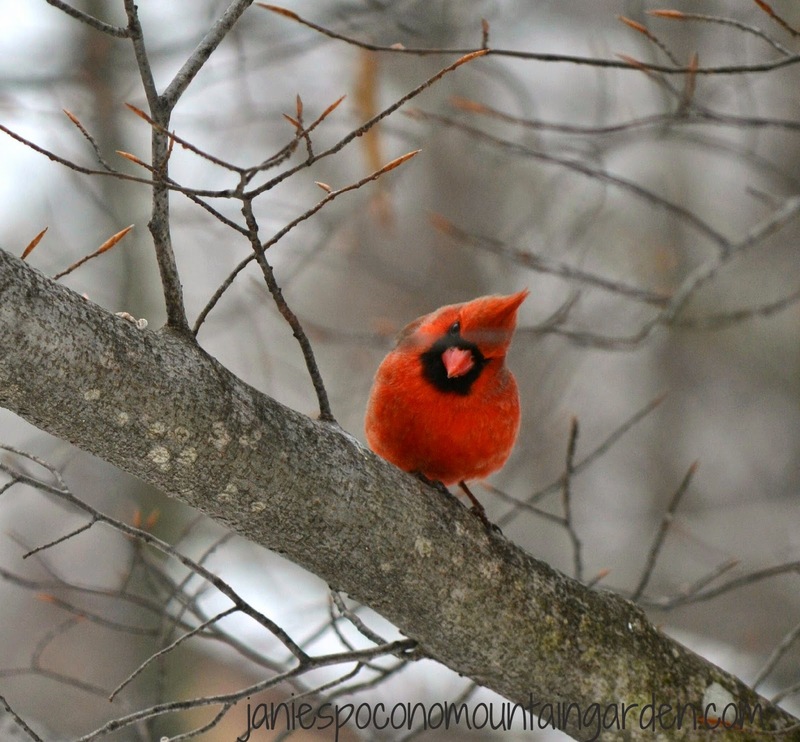 They're a permanent part of the Pocono landscape throughout the seasons. Even in the harshest winters, they endure. I leave some of my garden decor outside year round. 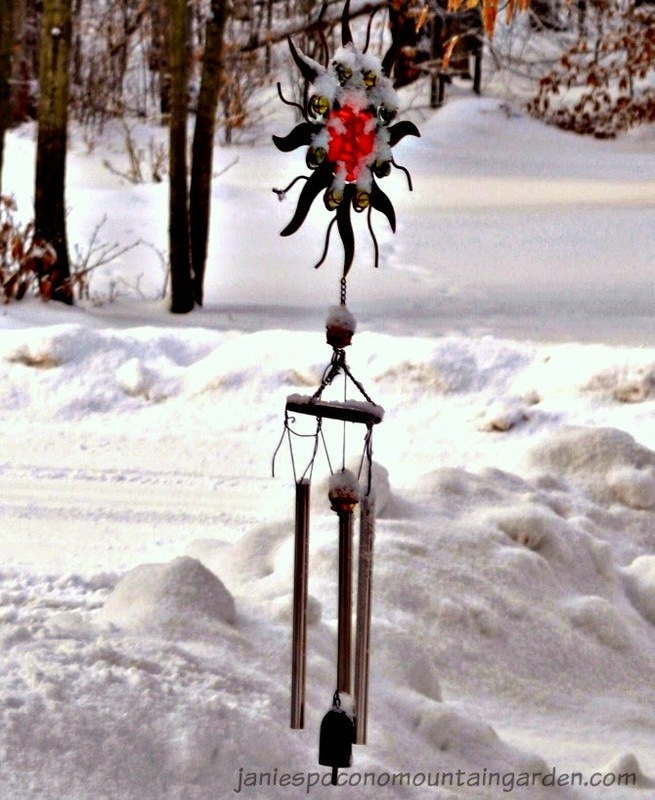 I love the look of the snow when it settles into the nooks and crannies of my favorite wind chime. 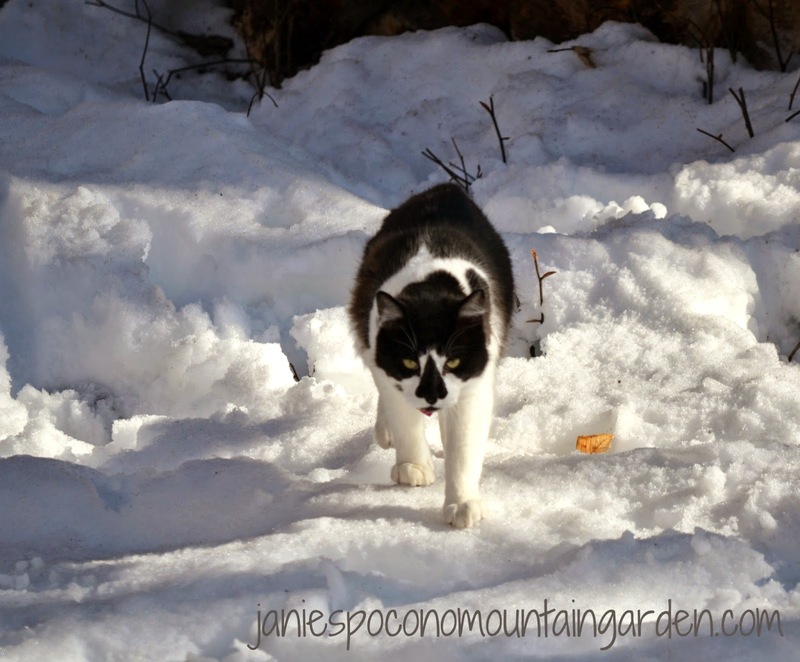 And lastly, I can't help but chuckle when I see my boy, Patch, out exploring his own frozen tundra! Winter has one purpose. To wait. Spring will come when she's finally ready to yawn and stretch out her arms in the warming sun of an April day. Jane, your photos are brilliant. I agree - there is so much colour and beauty in the snow. I especially adore the photo of the chipmunk and of the birds. I love taking photos. Two Christmases ago, I bought a Nikon 3100 camera. It has so many features, I've only barely scratched the surface. I'm trying to use the manual settings more than the auto settings. 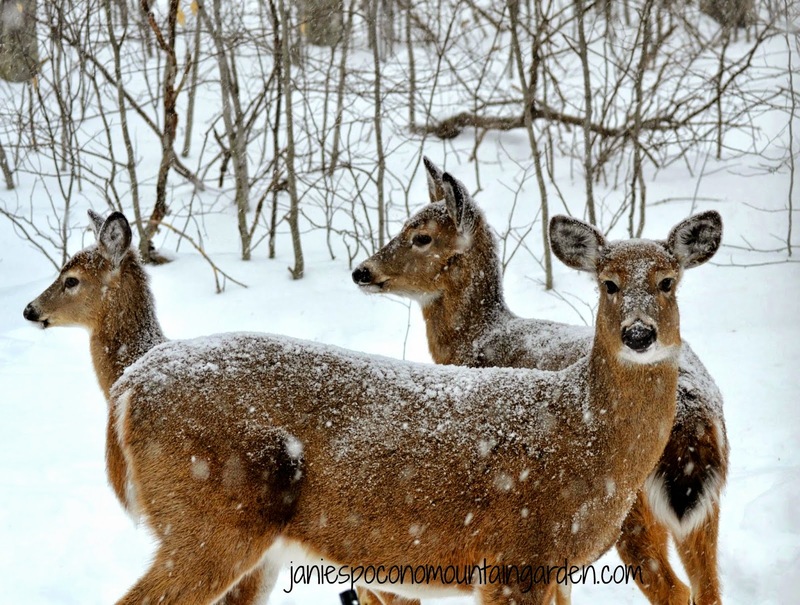 We feed the deer and the birds all winter. We'll probably start cutting back in April. I'm anxiously waiting to see "robins" again now that spring is almost here.